HSN Credit Card Perks & Offers Apply online or call 1-800-695-1418. 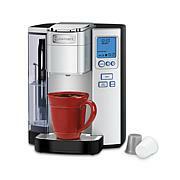 For warranty information, please call HSN.com Customer Service at 800.933.2887 (8 am-1 am ET). 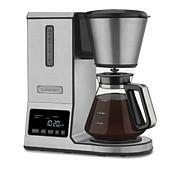 I really like this Grind-and- brew coffee maker, cant beat it. 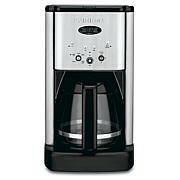 I think it is a very reasonable priced coffee maker for fresh coffee bean lovers out there. 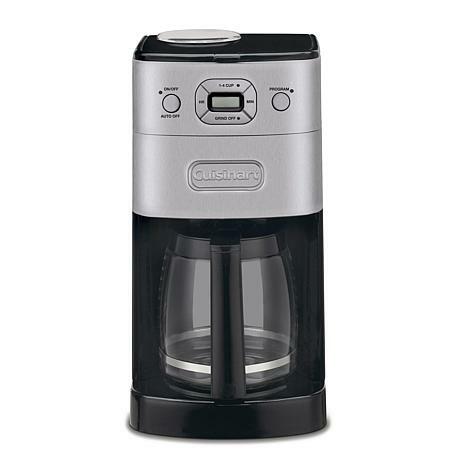 You can make ground coffee too. Go for it, and pay in payments which i like about HSN purchases. This does not disappoint! A great product! Woke up to the smell of fresh coffee! 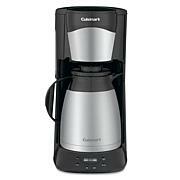 Try it if you love fresh brewed coffee! This makes the coffee taste amazing!!! Great feature is the water reservoir that you can see on the outside...no need to guess if you have enough water in it. Fits nicely on the counter top and is very easy to clean!! Love waking up to the sound of grinding beans and a great cup of coffee!! Pioneering a diverse collection of award-winning and dependable culinary tools, Cuisinart has been setting the design standard for cookware, appliances and kitchen gadgets since 1973. Remind me about Cuisinart upcoming shows.